A well-known licence can push up the price of otherwise compact games, but not in the case of Bruno Cathala’s fun spin on the brutal world of Game of Thrones. 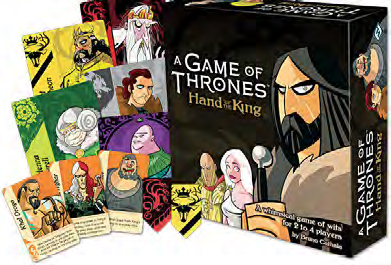 Featuring cartoon depictions of the cast, Hand of the King sees players manipulating Varys around a grid of cards to gain the support of the houses of Westeros, as well as the powers of companions such as Jon Snow and The Hound. 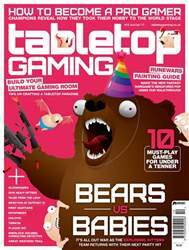 It’s a snappy, mechanically solid game with enough thematic dressing to offer a fulfilling half-hour – and you won’t have to lose your hand (or arm) to get a copy.